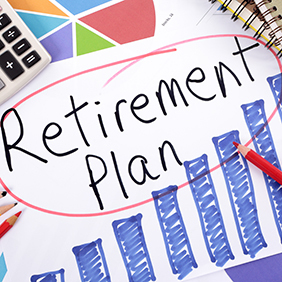 The following personal retirement plan article is excerpted from Healthy Aging Magazine. To continue reading this article and more like it, subscribe to Healthy Aging Magazine, the lifestyle magazine that is all about following your passion and what you can do rather than what you can’t. What’s your retirement dream? Traveling around the world? Playing golf every day? Hanging out with the grandkids? Whatever your vision of retirement, I suspect it looks a lot different from your current lifestyle. (Unless you’re a world-famous golf pro who brings the entire extended family on tour.) And change is always difficult—you can’t look into the future to see if the lifestyle you’ve envisioned will really suit you. Luckily, you don’t have to leap into the deep end of your dream. You can wade into your new lifestyle with a retirement dress rehearsal. I’ve worked with retired clients and clients nearing retirement for 18 years and have learned a lot from them and the choices they have made. I’ve found that the ones who seemed happiest with substantial change after retirement were the ones who had planned carefully beforehand. In fact, now, when clients talk to me about big lifestyle changes, I recommend that they plan—and then practice—that lifestyle first. Your days will probably look different during retirement: no nine-to-five office hours, no commute, no must-attend business conferences. How will you fill your days? Don’t just think about your options—try them out. If you’re planning to babysit the grandkids, do it for several weeks or more. Watching the kids on weekends or during vacations can feel like playtime with fun trips to parks or movies. The day-to-day reality—and your energy demands—may be different from what you anticipated. Maybe you want to see the world. If you haven’t traveled a lot, start with a short, less expensive trip. If you’ve never been outside the U.S., you might want to take a group tour before heading off to unknown lands on your own. You may find that you love the newness of a different culture or that you actually prefer the familiarity of home. Planning to dive into your favorite sport? Be careful not to overdo it. I had a client who’d been playing tennis for over 30 years and planned to work as a tennis instructor at his local club after retiring. Sounds great, right? Luckily, he took my advice and tried it before fully committing. He found that being a teacher meant playing tennis whether or not he wanted to. He had to play when his knees hurt and during the hottest days of a Texas summer. Not exactly the relaxed sporting days he had envisioned. There are a lot of reasons to move after retiring. Maybe you’d like to move closer to your kids. Maybe you’d like to move out of the city to some place quieter or less expensive. Maybe you’d like to move to a planned community somewhere sunny. Maybe you’re even thinking of becoming an expat and spending your days in a hammock in some tropical paradise. Remember, moving is stressful. The Holmes and Rahe Stress Scale rates retirement as one of life’s top-ten stressors. You could be adding stress onto stress. If you do want to move after retirement, why not make both transitions easier by planning? Don’t just look at housing, utilities, and groceries. Find out the costs of income, sales and property taxes, and of car and homeowner’s insurance. Is your new potential home filled with the sort of like-minded people you’d have over for dinner? Is it close to the things you love, like the great outdoors, golf courses, or art centers? If you’re planning to travel, you will probably want to be close to an airport. Public transit and walkability within your community will become another factor once you stop driving. The possibility that you’ll need medical care increases as you age. The rural area you’ve been dreaming of may be many miles from the nearest hospital. Are there plenty of houses in place where you could age? Houses can always be retrofitted if need be, but a single-level home with doors wide enough to accommodate wheelchairs or walkers can make changes much easier. How often do you want to see your family? How easy would it be for you to visit them or vice versa from your new location? Medicare will not cover you if you live outside the United States. If you have other healthcare insurance, make sure you’re covered before moving. In order to pay bills, you’ll need to open a local bank account and every so often, that account will need an infusion of cash. The exchange rate will become part of your budgeting so make sure you understand the typical difference between the local currency and the U.S. dollar. I know this factor was listed above, but it becomes even more of a consideration when you’re moving thousands of miles away. It could be a deal breaker for your family, or it could be an incentive if they really want to visit your new exotic home. Once you’ve done your research, it’s time to rehearse. You may love the sunny desert for vacation but find its hot summers too much for months on end. You may discover that the peace and quiet of the countryside leaves you incredibly bored after a few weeks. You may miss the community you just left. A dress rehearsal in your potential new home can illuminate some of the pitfalls. One of my clients thought Belize would be the perfect place for him and his wife to retire. They’d loved living on the beach during their vacations so why not move there permanently? Luckily, they took my advice to rehearse first. They rented a place for six months and soon found that they liked resort living in small doses. Being so far from their family also weighed on them more than they had imagined. No amount of research could have told them these particular things about their Belize retirement dream. They had to find them out for themselves by actually living there. So, yes, rehearse first. Rent a house. Talk to the neighbors. Find out how easy—or difficult—it is to get groceries or go to the doctor. See if your allergies are off the charts every spring or if the summer tourist traffic makes you crazy. Make sure the retirement lifestyle you’re planning for truly suits you and your spouse. There’s another perk to rehearsing your retirement, and it’s that you’ll have a better idea of how much money you’ll need to pursue the lifestyle you want. You may find you’re happy with less expensive travel or with skipping the season pass in favor of skiing a few times a month. You may want to add some expenses like annual passes to the zoo for your grandkids or a gym membership to keep you fit for your regular scuba diving trips. And if you do decide to move, you’ll know what expenses to expect in your new hometown. I think retirement should be like a second childhood, without the parental supervision. If you plan well and rehearse, I believe you’re much more likely to reach that happy state you’re seeking.